It's "National Spicy Guacamole Day" and here in Texas (where our headquarters are located) we take this kind of thing seriously. Our favorite recipes are simple and easily adapted to fit the ingredients we have on hand. Great guacamole relies on beautifully ripened Haas avocados, diced jalapeño, a generous squeeze of fresh lime, chopped cilantro, red onions, a dash of cumin and salt - no black pepper. Once you have the base layer perfected you can add virtually anything into the mix – mango, lobster meat, roasted poblanos, the options are endless. 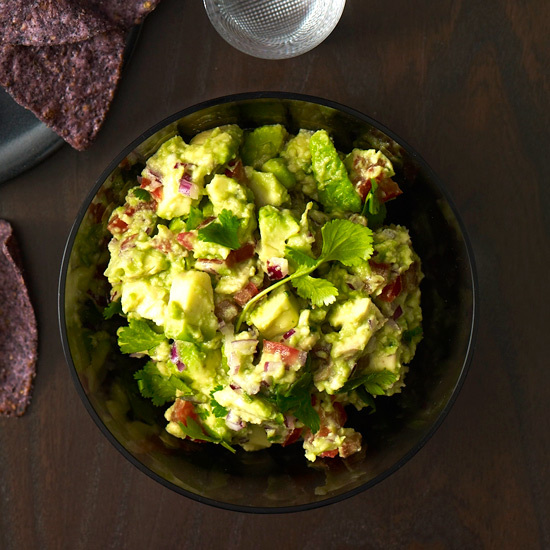 In the case that you aren't as unstructured as we are in the kitchen, here are two guacamole recipes that would be worth trying out tonight. Preheat a grill pan. In a small bowl, toss the scallions, garlic and jalapeño with the vegetable oil. Grill over moderately high heat, turning occasionally, until charred all over, 5 to 6 minutes. Transfer to a work surface and let cool. Finely chop the scallions and jalapeño and transfer to a medium bowl. Peel the garlic cloves, mash them to a paste and add them to the bowl. Scoop the avocado flesh into the bowl and coarsely mash with a fork. Fold the cilantro and lime juice into the guacamole, season with salt and pepper and serve. For a brighter, crunchier guacamole, finely chop the scallions, garlic and jalapeño and stir them in raw. 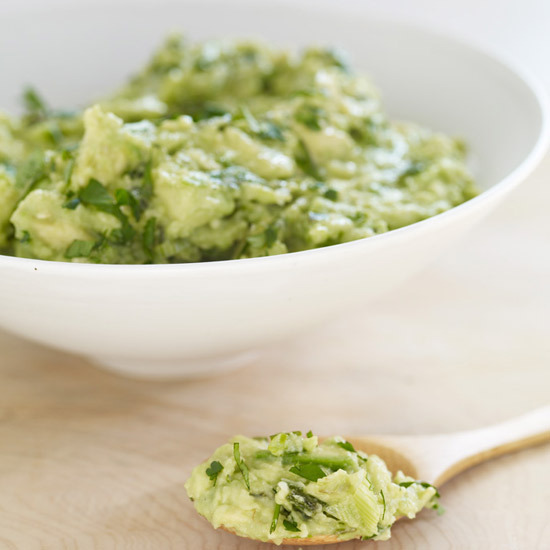 MAKE AHEAD: Press a piece of plastic wrap directly onto the surface of the guacamole and refrigerate overnight.